Not every slip and fall accident is the result of another party’s negligence, but apart from serious medical problems or other impairments, healthy adults rarely slip and fall for no reason. In a large majority of instances, another party’s negligence is the catalyst for a slip and fall accident. When that accident causes a serious injury, the negligent party may be liable for some or all of an injured party’s economic damages. The lawyers at the Salamati Law Firm in Los Angeles County have represented individuals throughout California who have suffered injuries due to another party’s negligence in slip and fall accidents. The sooner you call us after suffering injuries in a slip and fall accident, the better the opportunity to preserve evidence of the accident and to recover the monetary compensation that you deserve. As a result of that breach, the plaintiff suffered economic damages, such as lost wages, medical expenses, and pain and suffering. With very few exceptions, a slip and fall lawsuit in California must be filed within two years after the accident happened. This might seem like a long time, but it can elapse quickly. Moreover, an injured party who delays the filing of a negligence lawsuit runs the risk that evidence of the accident will be lost, or that witnesses will forget details about the accident. Accordingly, contacting an attorney and initiating a negligence lawsuit as soon as is possible is always the best course of action. 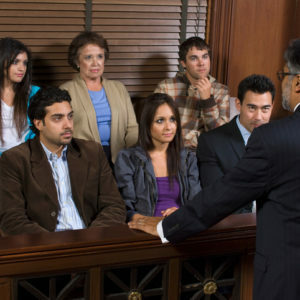 The defendant’s breach of a duty of care in a slip and fall negligence claim generally revolves around whether the owner of the property where the accident occurred should have recognized the dangerous conditions that caused the accident, or whether the owner actually created those conditions, for example, by leaving something that the injured party tripped over. Was the owner aware, and when did the owner become aware of a dangerous condition ? Did the property owner have any policies or procedures to check for dangerous conditions, and did the owner follow those policies and procedures? Did the property owner have any justification for delays in correcting the dangerous condition (g. weather)? Did the owner fail to take reasonable preventative precautions to prevent the occurrence of a dangerous condition? What other factors, such as bad lighting or limited visibility, contributed to the slip and fall accident? Owners have a negligence duty of care to visitors on their property, but California law also recognizes that those visitors may be partially or totally responsible for injuries they suffer in a slip and fall accident. The State’s pure comparative negligence standard will reduce an injured party’s damages award in direct proportion to his or her share of the blame for a slip and fall accident. The plaintiff’s footwear was inappropriate for the conditions where the accident took place. Under the state’s comparative negligence rules, an injured party might suffer economic damages of $100,000, but if the evidence of the slip and fall accident suggests that he or she was 35% responsible for the accident, any compensatory damages will be reduced by that percentage. In this case, the injured party’s recovery would be limited to $65,000. Los Angeles attorney Sean Salamati is an expert in helping parties injured in slip and fall accidents to get back on their feet and recover compensation for their economic damages. Call us to speak with one of our firm’s knowledgeable and experienced attorneys as soon as you can after you have been injured in a slip and fall accident. The sooner you contact us, the sooner we will be able to preserve the evidence that we will use to fight the insurance companies that want to reduce your recovery.